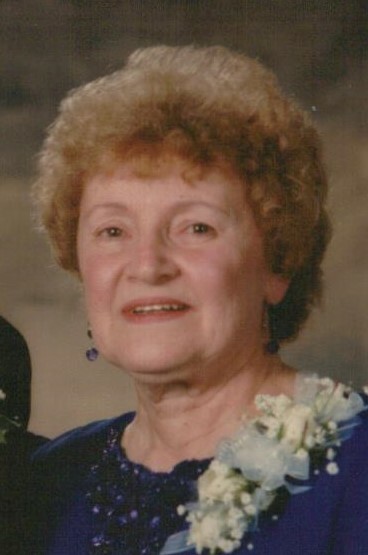 Evelyn R. Fabrizio, 88, passed away peacefully Saturday, December 1, 2018 at the Hospice of the Valley’s Hospice House in Poland. She was born August 1, 1930 in Warren, and was the daughter of the late Joseph and Ann Anderchek Tomasiak. Evelyn married John Fabrizio on February 11, 1956 in Warren and where they lived and raised four children. She was an active member of St. Mary’s Catholic Church of Warren. She helped run the family store, Johnny’s Market in Warren with her late husband and later retired as the receptionist at Warren YMCA. She was an avid flower gardener, enjoyed walks, puzzles, beading yearly calendars for her siblings. She also enjoyed the monthly luncheons with her lifelong friends from grade school and she and her family were season ticket holders of the Warren Harding football team. She was also an avid fan of the Cleveland Browns and Ohio State. Memories of Evelyn will be carried on by her sons; Joseph B. (Lyn) Fabrizio of Liberty, Lawrence M. (Chris) Fabrizio of Southington, and Edward V. Fabrizio of Warren; and daughter: Marcia (Dave) Moehrman of Columbus; sisters; Bernadette “Bernie” Swartz of Cortland and Dolly Bahrey of Howland; brothers: Joseph “Bud” Tomasiak of Arizona and John Tomasiak of Niles; and many nieces and nephews. She was also the beloved Baba of her four granddaughters Ellen (David) Houchens of Gahanna, Emily (Joe) Payich of Liberty, Rachel Moehrman of Columbus and Audra Moehrman of Akron and four great-grandchildren Julia, Patrick, Tanner and Gwyneth. She was preceded in death by her parents, husband, son; Michael Fabrizio; brother James Tomasiak; sister; Joan Cech; brother-in-law; Andrew Cech, and sister-in-law; Patricia Tomasiak. 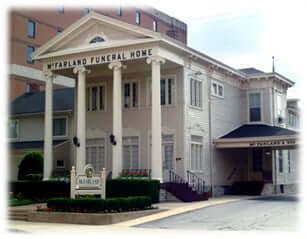 The family will receive friends on Thursday, December 6, 2018 from 9:00 am to 10:30 am at McFarland-Barbee Family Funeral Home at 271 N. Park Ave., Warren, OH, with the Mass of Christian Burial officiated by Msgr. John Zuraw to follow at 11:00 am at St. Mary’s Catholic Church, 232 Seneca St., NE, Warren, OH. The committal service will follow at St. Mary’s Cemetery in Warren. The family would like to thank the wonderful and compassionate caregivers of the Hospice of the Valley and First Light Home Care. The family suggests that in lieu of flowers contributions be made to Hospice of the Valley, 9803 Sharrott Rd., Poland, Ohio 44514 or St. Mary’s Catholic Church Restoration Project Fund, 232 Seneca St., NE, Warren, OH 44481.